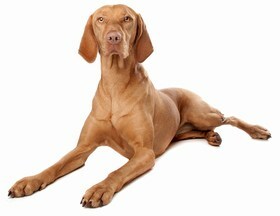 A combination of a Labrador Retriever and a Brittany, the Labany is a medium-sized crossbreed. He has a variation of major and minor health issues, due to the parent breeds, but he is generally a healthy dog. Most of the health issues are detectable early on, and many of them are curable, or at least manageable. There is nothing saying that your Labany can’t live a healthy, long life, even if they encounter a few of the health issues that plague their parent breeds. Acute Moist Dermatitis – Also known as hot spots, AMD occurs when overgrown bacteria causes an area of skin to become inflamed, itchy, and infected. The skin will ooze a clear, pus-like liquid, and it becomes quite painful and itchy to the dog. Hair loss will occur, and you have to be quick to treat it so your pup can avoid hurting themselves with constant scratching. Ask your vet for a topical antibiotic to combat the bacteria and restore health to your Labany’s skin. Cold Tail – This condition is a muscular disorder that causes the Labany’s tail to hang limply at its legs. It is usually an injury that has been caused by nerve trauma to the spinal cord or rear legs. A vet has to perform thorough tests and an examination to determine the cause. Treatment commonly includes rest and anti-inflammatory medications. Other issues that may put a damper on the health of your Labany include cherry eyes, joint dysplasia, recurring ear infections, skin allergies, epilepsy, and heart disease. On average, a Labany will live between 10 to 13 years. Sweet, affectionate, and compassionate, the Labany is a loyal, attentive companion and a great family dog. He loves children, especially ones he has grown up around. He can be timid around new people, but he warms up to them when they show him attention and affection. Rest assured that these crossbreed pups are never aggressive, even when faced with a challenge by other large dogs. Instead, these gentle giants maintain their even-tempered, calm nature without so much as a growl. The Labany can be a barker if he senses dangers, such as an intruder around your home. He makes a good watchdog at night, but don’t expect him to bite or attack an unwanted guest. He is likely to simply bark incessantly and loudly to alert you to possible danger. Never yell or strike a Labany or any dog, for that matter, but in particular Labany pups are extra-sensitive. Their feelings are hurt easily, resulting in shyness, depression, and anxiety. Keep a positive tone in your voice when talking to your Labany. Exercise-wise, these crossbreed canines are energetic and playful. He requires tons of outside stimulation and fun time, so take him to the dog park for a romp with the other pups. Walk or play with him outdoors for at least an hour every day. He would be best suited for an active family, especially one with energetic kiddos. If you can’t make it to a dog park or trail, opt for letting him run and frolic in a fenced-in backyard. Provide lots of toys indoors for him to chew on and play with. When training your Labany, use meaty morsels as rewards for his obedience and compliance. He is intelligent and clever, which make training easier. Some Labany crossbreeds have an independent streak that cause them to be a bit stubborn, but, with patience and consistency, you can easily overcome that stubbornness. Their intelligence means they are quick to grasp simple commands, so you won’t have to repeat yourself often. 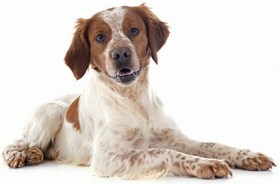 A Brittany dog has an especially soft coat, particularly around the ears and shoulders. It is usually lengthy and sticking out in sprigs whereas a Labrador Retriever is typically sleek with ruffled, short fur. Your Labany could have either of the parent breeds’ coats. Or, he could have his own blend of unique coats. Either way, you should aim to brush him daily with a thick-bristled brush. 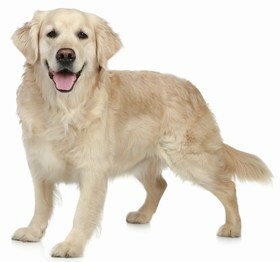 This eliminates pet dander and loose hair that he sheds throughout the year. You should also brush his teeth 2-3 times a week, trim the hair between his toes when it gets too long, and trim his toenails bi-weekly. If you are uncomfortable with any process in his grooming regimen, opt for a professional groomer. They can bathe, brush, dry, trim, and pamper your pup in a just a few hours. The Labany is a medium-sized dog who requires a good portion of nutritious food to keep his metabolism running on high burn. He is prone to overeating, so a feeding schedule is necessary to keep his weight and eating habits under control. Feed him once in the morning and once at night, 2 cups of dry kibble per meal. There are some breeders who are more concerned with money than the dogs they sell. 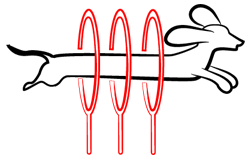 Make sure you find a reputable, reliable Labany breeder. A puppy will cost upwards of $1,200, but it should come with health clearances from a reputable veterinarian. Always get documentation of health histories, and don’t be afraid to shop around before you decide on a breeder. Check your local animal shelter before you invest in a Labany pup from a breeder. Many of the dogs in an animal shelter have been there for quite some time. You could be the dream owner they are hoping will take them to their new forever home. Adoption fees are usually between $200 to $250, depending on the age of the Labany. You should also consider additional costs like, toys, high-quality dog food, vaccinations, deworming, routine vet visits, micro-chipping, spaying and neutering, professional grooming, and possible professional training. Ranking takes into account a few basic factors including cost, skill level needed, high vs low maintenance and how critical regular training is to success. 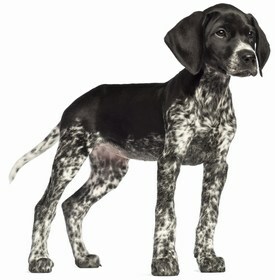 The Labany is a 1.5 on the Paws ‘N’ Pups scale because he loves spending time with his family. He would make an excellent companion for anyone who loves a playful, gentle, affectionate dog.